I had a lovely afternoon yesterday. 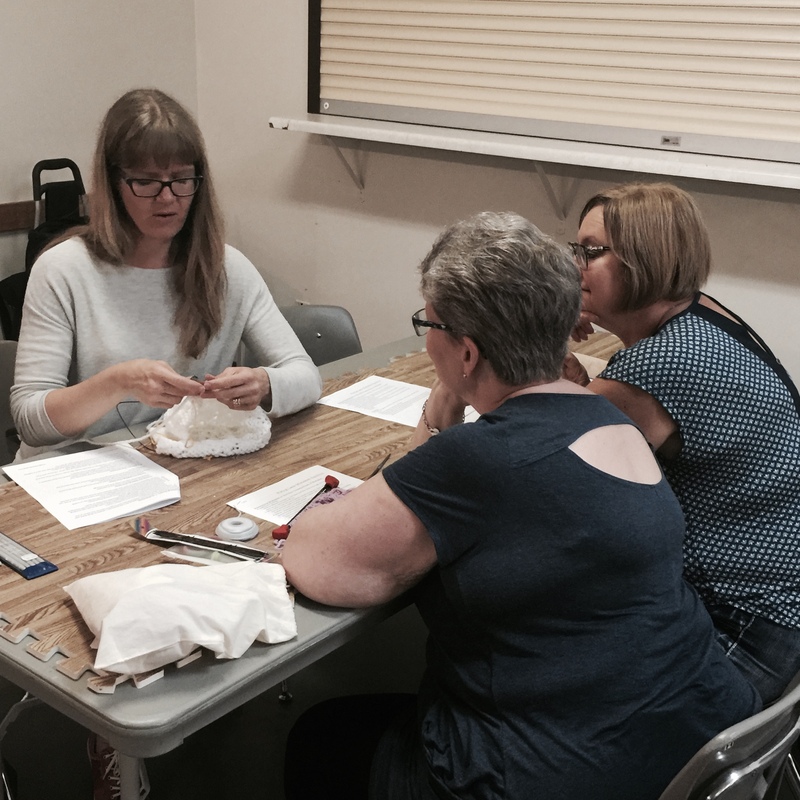 I taught a class on fixing mistakes in lace at the Blue Hills Fibre Festival in Carberry, Manitoba. It was a very small class, but I loved teaching it and I know for sure that everyone who took it got lots of eye-contact! 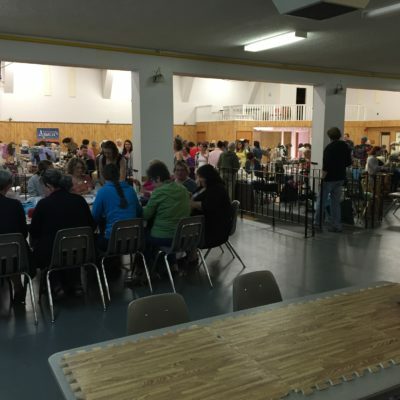 The community hall in Carberry has a large main room that is just flooded with natural light. It’s such a nice setting. The side without much natural light is open and spacious, with room for classes as well as knitting and spinning circles. 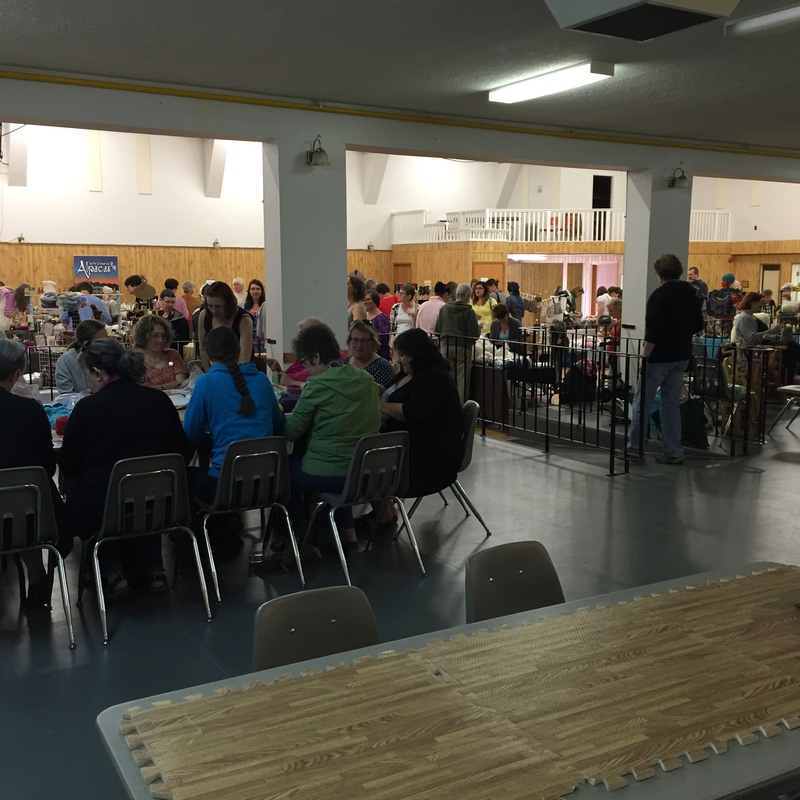 There was a good variety of vendors, too, with hand-dyed yarn, fleeces and roving, wooden yarn bowls, spindles, soap, project bags, and…pie. Gotta love pie.